As a consultant, I am constantly faced with design challenges. If the challenge is not a lack of space it’s a lack of budget or time. Here is how I used innovative design to solve a budget challenge for Sarasota County’s Culinary Arts Training Center. I had the pleasure of being the lead design consultant on Sarasota County Technical Institute’s brand new cutting edge Culinary Arts Teaching Kitchen, restaurant (Bistro 502) and kiosk. 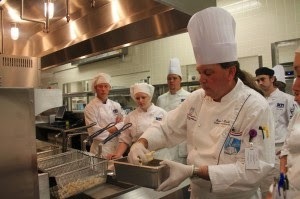 SCTI’s Lead Chef Instructor, Chef Brian Knecht, had a vision for the new program. In addition to the teaching kitchen space he wanted to create a working restaurant environment for the senior students where they could have hands on experience working and managing all aspects of a restaurant. On Chef Brian’s “wishlist” was a set of European-style cooking suites that would enable students to communicate more openly and freely and provide them with experience on various types of cooking equipment, including a chargrill, griddle, fryers and pasta cooker. 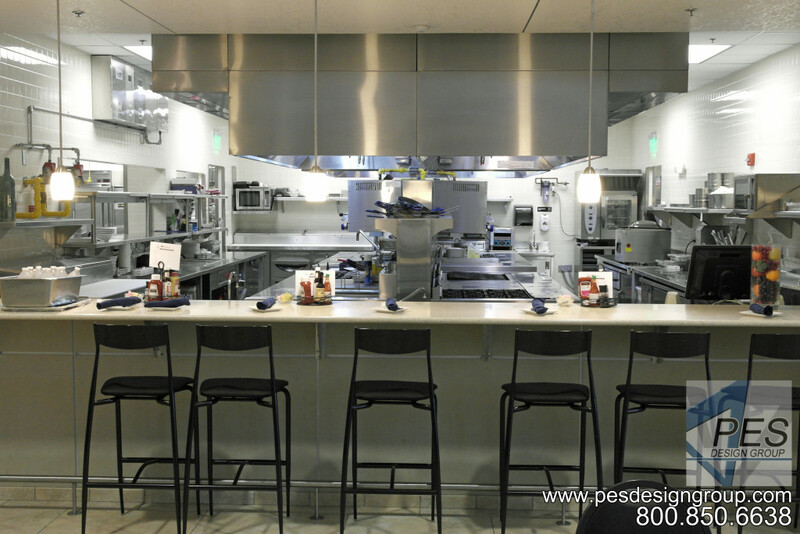 With the typical commercial European-style cooking suite having a price tag well into the $100k range, a cost not affordable for a County tech school program, the challenge was being able to provide the experience and yet still stay within budget. The solution was an innovative modular suite design. 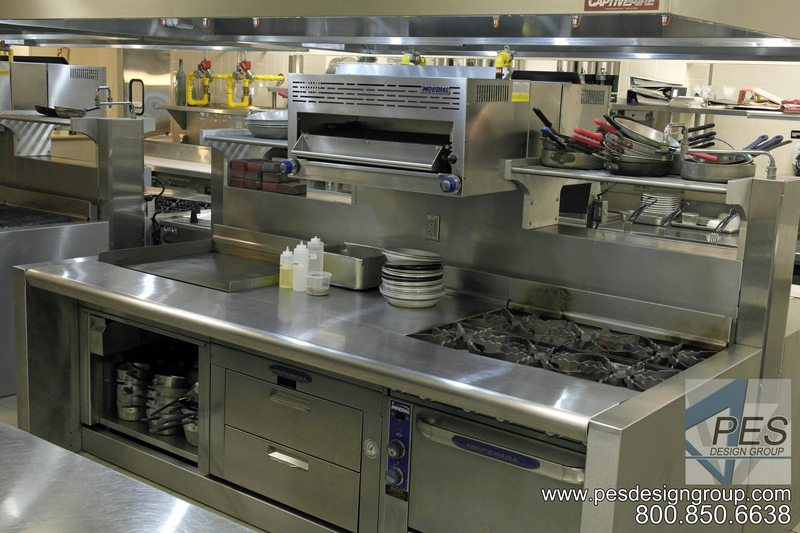 I worked with engineers at Imperial Commercial Cooking Equipment to design an island-style cooking suite using standard cooking equipment set into a custom stainless steel wrap. We designed two islands, each with it’s own arrangement of cooking equipment. The island wrap consisted of a center structure, where utilities (such as gas, electric and water) could be easily accessed, and outer “wing walls” that kept the standard equipment pieces aligned. The cooking pieces were finished off with an enclosed kick plate and continuous front rail. The rail and kick plate are easily removed and all equipment pieces are on castors with 48″ long quick disconnect gas hoses to make routine cleaning under and behind equipment easy. The islands look impressive and are the show pieces of Bistro 502’s open kitchen concept. The finished islands look and function like a commercial European island suite, yet much less in cost. I estimate the County School Board saved up to 60% on the purchase of the innovative cooking islands from Imperial as compared to other European cooking suites. This is an example of how innovative design can help solve a challenge and achieve a goal that otherwise would not have been achievable. 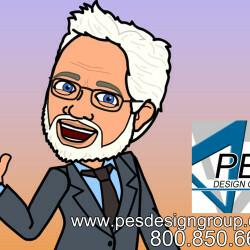 At the PES Design Group our mission is: “Designing functionally innovative, attractive and profitable c-store and food service facilities on time and on budget”. Our promise to you is, that whatever your project may be, we will approach it as unique. 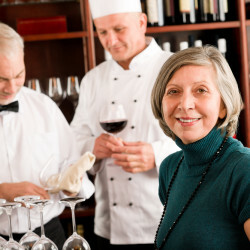 We will use our years of experience to design innovation and uniqueness into your project helping you to set yourself apart from the rest. We will also use innovation to solve challenging issues such as space, time and budget constraints. 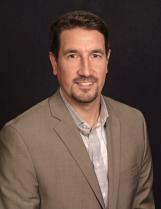 Jim Richards (Jr) is the Managing Member of Cademan Enterprises, LLC and Food Service Consultant with PES Design Group’s Southeast Office. 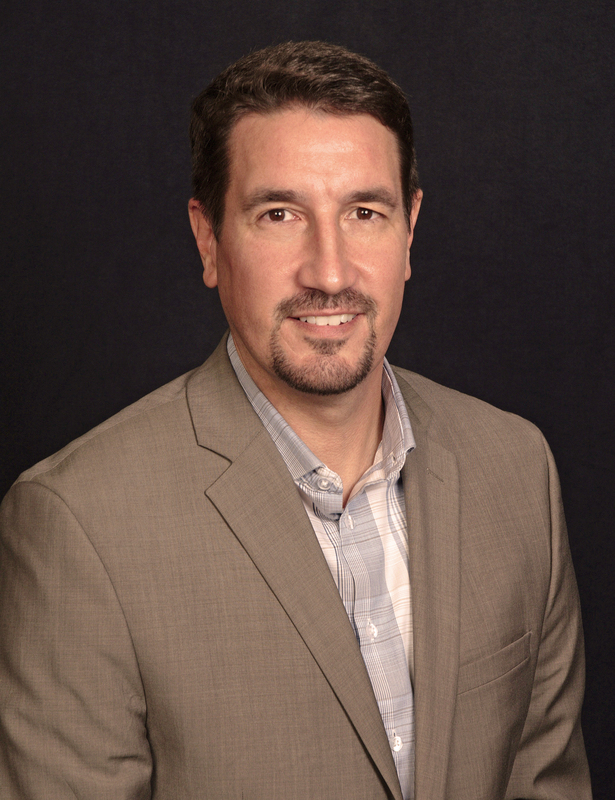 During his 25 years of experience in the Food Service Design Industry, Jim has encountered countless design challenges that he has successfully overcome through experience and innovation. Jim Richards (Jr) is the Managing Member of Cademan Enterprises, LLC and Principal Food Service Consultant with the PES Design Group's Southeast Office. 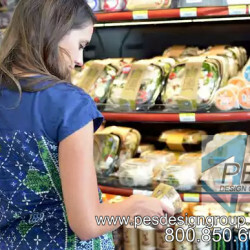 PES Design Group C-store Design Named #7 of 25 Great C-Store Designs by CSP Daily News.